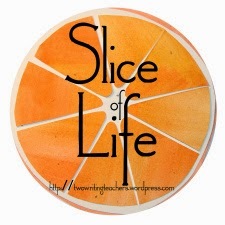 I'm linking up with the Two Writing Teachers Weekly Slice of Life. I am late, and I have been gone far too long. But the great thing about this community is that they always welcome you home! Today was a good day in Writer’s Workshop! This week we started a study on “voice” and how writers use voice when they write. We have been doing a Laura Numeroff study in class and she was a great way to kick off the unit on voice. Yesterday I read Mo Willems Don’t Let Pigeon Drive the Bus to show how voice can make a story. I first copied a few lines from the story on chart paper and read it out loud. I then read the story and we compared the two. This helped them start to understand the importance of voice in writing. Today was what really hit home though. I had the kids sit in front of me, but with their backs to me. I told them I was going to read some books and when they recognized the “voice” of the author they should raise their hands. I started with an easy one “The sun did not shine, it was too wet to play.” Boy did the hands shoot up. I did the same with Laura Numeroff, Jan Brett, Mo Willems, and more. They LOVED it. And they loved comparing the different authors and their type of voice. When it was time to “have a go” they were off and running. They each wanted to give their own voices a shot, and did they ever! It was good day in second grade today, and I can hardly wait to see what’s in store for tomorrow. Terrific to have them turn around & read from various books, glad you're having fun with those "older" kids! FYI-you forgot to leave your link at TWT. I know how to find you, but others may not! Great idea! Understanding voice can be tricky for many kiddos! Smiles and stop by anytime!